You guys know I collect selvedge of course and I have been saving up for a big project. But after making the notebook cover for Jem I decided to make one for myself using selvedges. So I started piecing them together and I couldn't stop. I seriously ADORE how they look together so as my piece grew I decided to turn it into a bag. It occurred to me that a predominantly white bag wouldn't last long so I decided to cover it with PVC. I would love to make a big quilt out of selvedges - I know , this from a person who has yet to finish the one and only quilt....but hey a girl can dream. This bag took almost 40 strips of selvedge - can you imagine how many I would need for even a little quilt- and there is almost no fabric at my place with selvedge still attached. I don't even know why I like them so much, they just appeal to me. Sounds like an excuse to buy more fabric if ever I heard one! Jodie, that bag is incredible. It's wonderful! You are so clever! No wonder you love it - anyone with a love of fabric would love it. i love it i love i love it!!!!!!! can't type properly because i had to ring lesley straight away to get her to look too! aaaaaaaaaaaaaaaahhhhhhhh want one! NOW!!!!!! WOW!!! That is just one heck of a lovely and unique bag!!! !I love it! What will you come up with next!!! Ooooh fab bag - I love it!!!!! Lucy really was as excited as her comment suggests!!!!! Jodie I love your selvedge addiction! The bag is fabulous, you've really come up with something so unique here! To answer you about the tea - it tasted like green tea, they come in all sorts of different flowers and flavours but mostly they are green tea based. Nothing exciting to taste - the fun part was in the watching! If it tasted like Earl Grey tea I'd be in heaven! Jodie ~ that bag is just too cute and here I've been throwing away all my selvages for years. Maybe I should start sending them to you! Jodie your bag looks fabulous. Sounds like a fabric buying fest. is coming up. I too collect selvages, you have made a fabulous bag out of yours. Not sure what I'll do with mine YET? You must have so much patience....the bag is beautiful. Jodie, that new bag of yours is delicious. I just love your drive for craft projects and the ongoing "show and tell" which provides me with much entertainment and inspiration! Fabulous - definitely a one of a kind! Oh I think it is an excelent excuse to buy more fabric! Buy away!!!!! Lovely little bag- definitly a cute idea! oh, my! I ADORE THAT BAG!!! it is wonderful. you know, now I am going to have to try a quilt with this. I absolutely love it!! I am a huge fan of selvages too. What is it about them? Too cool and original to boot! I have NEVER thought of using selvage ever- to think of the huge amount I've tossed! WOW!!! That bag is great, I love it!!! 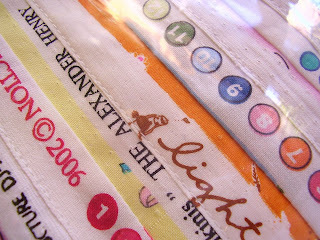 What a wonderful look, like a recipe ribbon book of fabrics. Want to create a mini quilt. You got me started - ever since I saw your doll quilt, I've been saving selvedges. 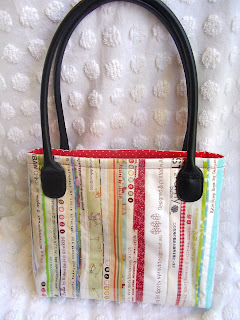 If you can show us how you made your purse, I would love it! I want one!!!!! how gorgeous is that bag.... great work Jodie. Jodie, you never fail to amaze me. 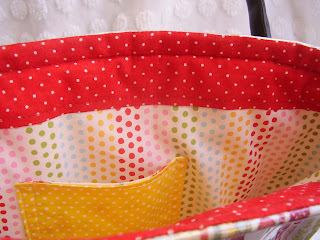 The bag is gorgeous, that you continually think outside the square and come up with new ideas. And you are always original and never derivative. 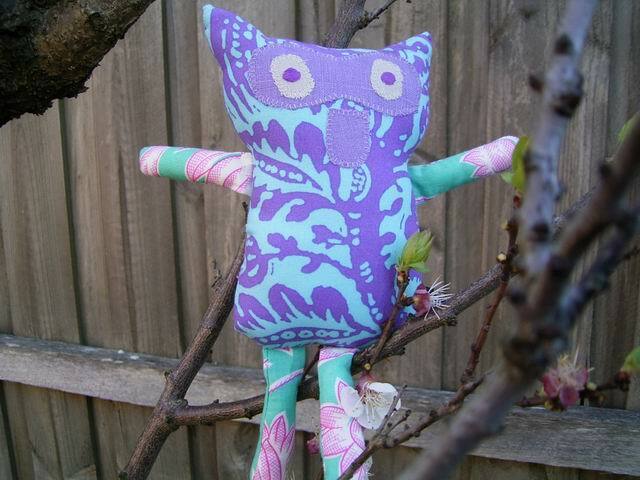 You have a really special gift, and are definitely my biggest crafty inspiration! Love the bag but how in the world do you cover it in PVC? Gorgeous! Hurry up with your shop!!!! 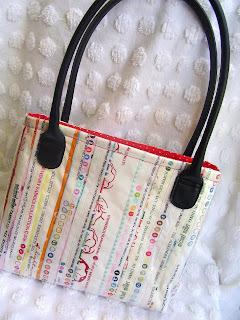 Your bag is wonderful!Selvedges...wow!I know...what is it about them?For me it's like a peep at an artist's palette and I love how straight they are(I can't cut a straight line to save myself).Love your quilt too. jodie thats flipping amazing!!! !i have a girlfriend who makes birthday cards out of the selvaege bits! !but a bag love it!! Your little selvedge bag is adorable. I always feel inspired when I visit your blog. Good luck with the Etsy shop. I think you are What i would call I high achiever !! Your stuff is way to fab and cool. Etsy will be lucky to have you! Well aren't you the clever one. Great idea there. I love it!!! That is wonderful Jodie . As others have said - bring on the shop! Wow! You really have found a way to use every 'scrap', haven't you? The bag is beautiful. I never knew there were so many interesting selvedges around! Love the bag! Love also the idea of using selvedge. Definitely going to use mine. Hey have you thought of starting a Selvedge club where people have the opportunity to send selvedges to you. Selvedge's for Jodie or such-that if you want to let go of them. What do you think girls. One question tho - I was just looking at some newly arrived material and I wondered - do you save only the edge with the info on, or the other side selvedge as well? All the bits that came today had one side with the pattern printed to the edge and one side with the info on. Fun! I like selvedges too. They are just an adorable variety of mini art at times. Your bag is a great use of them, very cute. Selvedges are kind of like chocolates or jelly beans. Every company/artist has a different style with different flavors/colors. Fantastic! I am going to start saving my selvedges now! Wow! I had no idea there was so much selvedge love out there! And how GORGEOUS they could look! Who would have thought to use the selvedges? I absolutely love what you did with them. Cool!! They appeal to me too. What a gorgeous idea. Great bag, Jodie! 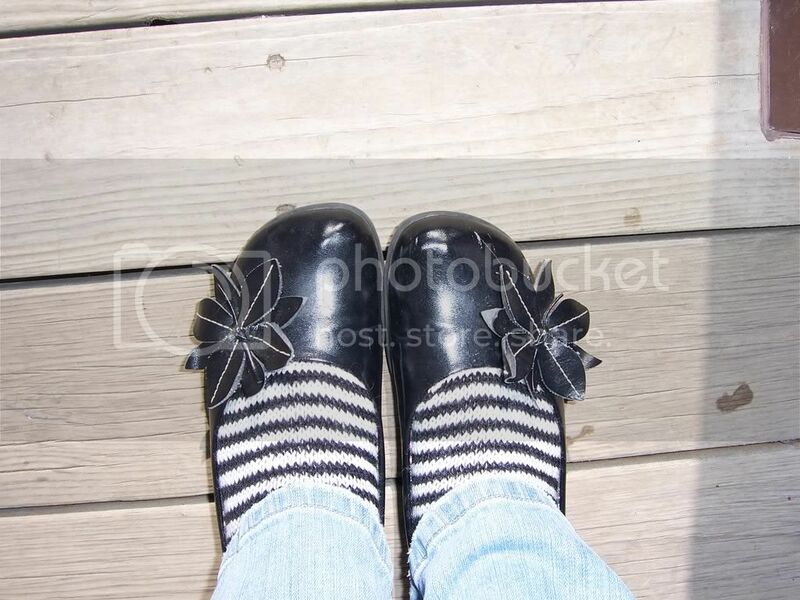 I love this look and have a slow growing pile of selvedge strips I hope to be able to make something with soon. Thanks for the inspiration. That's a great idea, the bag looks wonderful! That is awesome! I love super creative, one-of-a-kind projects like this! GREAT JOB! Love your blog! You've been tagged. This is what you have to do: 1. Link to your tagger and post these rules on your blog. 2. 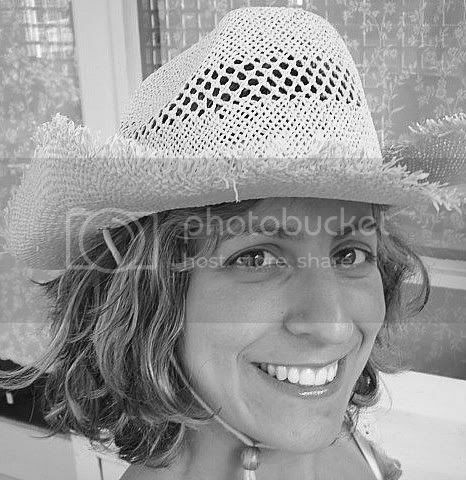 Share 7 facts about yourself on your blog, some random, some weird. 3. Tag 7 people at the end of your post by leaving their names as well as links to their blogs. 4. Let them know they are tagged by leaving a comment on their blog. I LOVE that! Very graphically appealing and so unique. 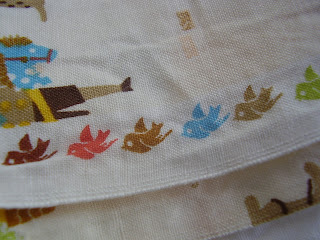 Tell me, is that tiny bird a selvage??? How adorable is that! I LOVE that bag! Must start collecting selvedge and make one for myself... thanks for a fantastic idea! too damn clever, that's what you are!!! Now get that shop open woman - I need a bag with a window in it - need I tell you, NEED!!!! Found you through Crazy mom Quilts. Lost in awe at that bag. You must have the patience of a saint. I just adore the thought of making something so attractive out of things that most people throw away. wonderful bag! I was wondering if you would like to do a swap? Jodie, I love it! I love it!!! I have a whole door handle full of selvedges that I have saved... wondering what I might do with them!!! What a wonderful idea!!!! The bag is adorable. Great for fabric lovers. You could do a quilt just ask those that don't want their salvages to send you theirs ! Maybe you could even make it a challange and have people sew them up too ! The one that sends you the most gets a bag ! I've never seen anyone do anything like this. What a unique idea! This is my first visit here, I'm adding you to my favorite list! Jodie, this is so great!! Very cute. I have been saving mine too, but I have a very small stash compared to your loot! great bag - I have been throwing my selvages in a box for a while but it will be a long time before I will have enough to make a bag. I love this bag! It's such a great idea! You did a really awesome job on this. Wow!!! What a fantastic and creative idea! it turned out adorably! What a fabulous idea - so creative and crafty! EEEK! This is just so so fabulous! I am going to start collecting all my selvedge too now. I dont think I will come up with anything as wonderful as this but it is nice to hope. What an amazing idea and it has turned out gorgeous. Well done. WOW...I would never have thought of that. It's such a cool bag - I will look at selvedges in a new light now! I love this. Not only is a great idea and beautiful execution, the stripy pattern result is QUITE attractive! Win-win-win. That is an awesome bag. Very inventive and I love how it turned out. I love the selvege edges too - I made a wrap skirt with some fabric from Africa and purposefully cut the ties out of the selvege. that bag is absolutely bloody fantastic (bloody is not too bad a swear word is it????). words cannot express how funky the bag is. how clever - and all from selvedges. well Jodie you don't need me to tell you how absolutely gorgeous and fun that new bag is as soooo many others have done so already.......... so I won't!! How could I find handles like yours? this is just the neatest! I absolutely LOVE your bag! I, too, love selvedges. You should check out the house that I made on my blog. 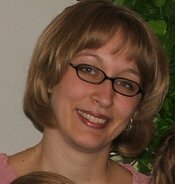 I just found your blog and will be visiting often, love your work. I love the handles!!! Where did you find them? I have sent her a link to your blog too. Wow, that bag looks really great! Top job! And congrats on finishing the top of your green quilt - it really is an epic undertaking, eh! I still haven't finished the first quilt I started, but I think that has to do with the fact that I felt I NEEDED to start with a queen size, and also the fact that I thought I should hand quilt it all together. it's going to take me an age, but oh well - hope it takes you less time than that! How cool will it be to see it finished and lying around your house, or wherever! Love yer bag! TOO CUTE! I save selvedges but they might not be big enough pieces to do something like this with. I will have to see. They make me happy too. Wow! That's a great idea. Beautiful! Olá, sou do Brasil e essa é uma grande idéia. Linda!!! I'm in love with this idea. Kudos for making good use of what's been hitting my waste basket. time to start saving! Beautiful bag, and wonderful idea. I think I like it so much because partly I too like the bits of things which I think no-one else notices, you know the tiny little symbols and words on mass-produced things, and the names of the fabric on the selvedge is one of them. Also because I like how it brings into focus the things that you usually only see from the corner of your eye in a metaphorical sense, like things which go tend to go unnoticed, if you see what I mean. Very pretty too and you made good work of the handles! Jodie, I can't believe that selvage dress!! You are so talented !! Love your work. Wao, I always kept them, I found interesting, it used them to be able to combine my quilts, guiding me with the circles of colors, but never imagine to make a handbag. That brilliant. 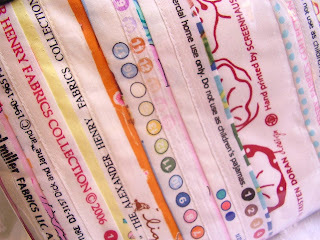 I would love to send you some selvages just so I can see what you will come up with next! Let me know if you would like some. Okay, so how much do we add when cutting the selvage?